The term ‘Made in the USA’ appeals to Tun Nwe, deputy general manager of mechanical engineering for Myanmar Railways in Yangon. The time-honoured 855 cubic inch (14-litre) Cummins NT855 is the engine Tun Nwe is referring to, and Cummins DKSH Myanmar is in the process of overhauling 10 units for Myanmar Railways. The NT855 engines, rated at 300 hp, came into Myanmar in trains built by Niigata in Japan. The trains were actually donated by the Japanese government and were up to 20 years old when they arrived in Myanmar. The first Cummins NT855 engines went into service in 2015 and have clocked up over 5000 hours a year, with rebuild taking place between 12,000 and 15,000 hours. “The NT855 is a popular industrial engine in Myanmar,” says Tony Brown, general manager of Cummins DKSH Myanmar. “It is simple, easy to repair, and there is good spare parts availability.” Tun Nwe nods in agreement with Tony Brown’s summation of the NT855. 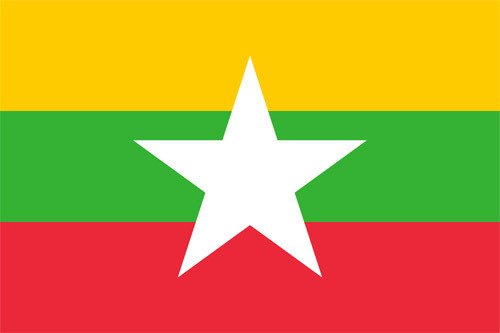 Myanmar Railways is operating 51 NT855 engines, most of which are powering trains on the Yangon Circular Railway which was built by the British in 1954 to connect rural suburbs and townships to the city’s commercial heart. Today, the trains carry between 100,000 and 150,000 passengers daily along the 46 km track, stopping at 38 stations and taking around three hours to complete the journey. Although the train is primarily used by local commuters, it is now also a tourist attraction for visitors to see how the locals of Yangon go about their daily lives. The cost of a ticket for a complete circuit is just 200 kyat (US$0.20 cents) – one of the cheapest tourist attractions on the planet! A major upgrade of the Yangon Circular Railway will take place over the next couple of years, funded in part by a development assistance load of more than US$200 million from the Japan International Cooperation Agency. All the trains are eventually to be replaced – requiring 66 new diesel multiple units – while new signalling will also be installed. The good news for commuters is that the current time taken to complete the circuit of around three hours will be reduced to less than two. More commuters are using trains to avoid Yangon’s steadily worsening road congestion problem. In fact, daily passengers are predicted to increase to around 260,000 after the upgrade. Asked which engine brand is preferred for the new trains, Myanmar Railways’ Tun Nwe is quick to respond: Cummins!